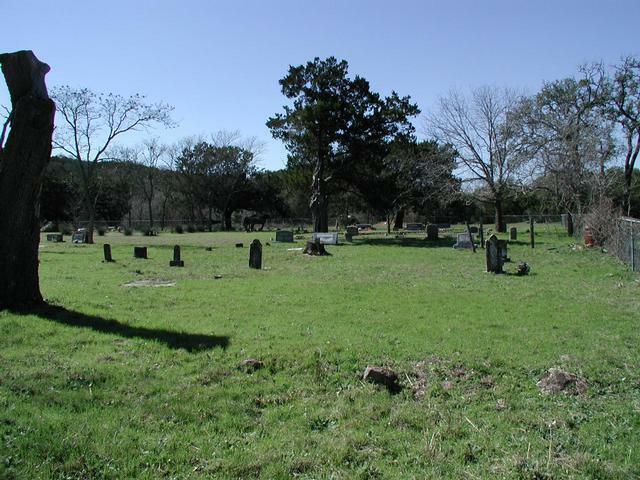 A wide view of the cemetery. Note the horses in the background. They want to be in cemetery grounds, so make sure that you close the gate if you enter.